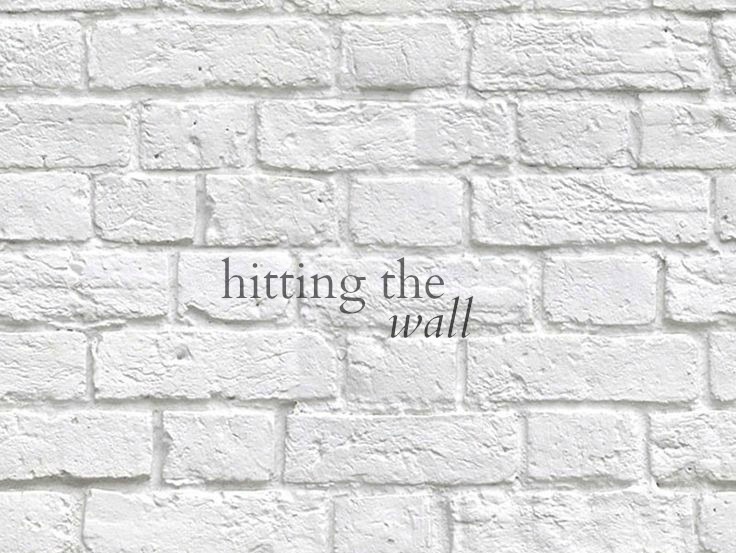 Anyone who has dieted has done it: hit the wall. I've lost over a stone in weight, and feel great! I've hit a couple of mid-term goals but not quite reached the overall long-term goal. People are noticing my weight loss and the compliments feel amazing! I fit into clothes I hadn't been able to for years and am buying a size down in jeans - a huge achievement. I'm starting to notice a real difference in my fitness and muscle tone due to exercising more and eating better. And then... complacency sets in. What's the harm in a cheeky Dominos? A little cake here and a few choccies there. A pudding with dinner and 'forgetting' to keep tabs on how many syns left for that day. A few pounds creep back on and I end up feeling worse than I did at the start of the whole process. I've never had great willpower, right? Of course, giving yourself a break is no bad thing, but when your goal is still a little way off 'hitting the wall' can be frustrating. For all that effort, I don't want to waste it on a few overindulgences. Upon reflection, this for me has highlighted the potentially harmful effects of dieting. When do you stop? When is so far, far enough? If gaining a few pounds can cause that much guilt, unease and upset then is it really worth it? Because in reality most people's weight will fluctuate over the course of their life. A friend recently asked me 'when do you stop counting and return to normality?'. A fair question, but one that I can't answer. Because losing weight - when you manage to do it - can become an obsession. Like anything, when you start to see the rewards of your labours the effort becomes justified. Honestly? I don't know how I feel about it. I want to be happy in my self and feel confident in my body. But obsession? I don't know. Confession: I've eaten the same thing for breakfast since January 5th 2015. Fat free natural yogurt, a handful of raspberries and 30g of Special K granola. To some, that may seem incredibly boring. For me, it works and I love it! What I'm getting at is that hitting the wall doesn't necessarily mean becoming fed up with eating the same old thing day in, day out. Personally it's been about finding ways that I can maintain Slimming World and have a life - making it work for me, without sacrificing too much or feeling fed up. So I'm trying to get back on the waggon - not denying myself the odd treat, but eating well and in balance and moderation. Slimming World works for me because I'm greedy, love carbs and struggle with cutting things out. I'm just trying to figure out if it's going to work out in the long-term. I know how you feel - I've tried every diet and only failed but this time exercise, healthy eating, high protein and not denying myself has finally worked, something has clicked but I know I need to be careful. it's important to find balance and you will, its not a diet, its a way of life and it will settle! Keep going, you've done really well and look great!!! You look great here but I have hit the wall recently too, hoping that I can eat better and stay on track this week!